Stunt Racers Extreme 2 Stunt Racers Extreme 2 offers you to drive an invulnerable blue race car! You cannot damage your car in anyway. Make flips, have air times and many more stuff without being damaged. If your car overturns, you can reload it with R key anytime you wish. That move will make you start over. 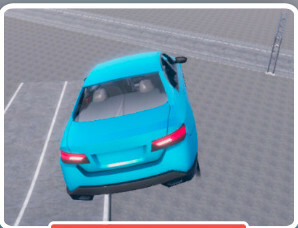 Drive your car with arrow keys for moving to ramps that will help you to make stunt moves in the air with your invulnerable car in 3D Games.